Montreal, Canada. From 2-7 July 2018, Mike Tetley, IMMA Programme Coordinator for the IUCN MMPA Task Force, attended the Convention on Biological Diversity (CBD) Subsidiary Body on Scientific, Technical, and Technological Advice (SBSTTA) alongside partners within the Global Ocean Biodiversity Initiative (GOBI).  Meeting participants discussed Important Marine Mammal Areas, or IMMAs, among various GOBI-IKI projects, as being of importance toward accelerating the achievement of international targets for biodiversity conservation. Prof. Patrick Halpin, director of the Marine Geospatial Ecology Lab (MGEL) at Duke University, highlighted IMMAs alongside Important Bird and Biodiversity Areas (IBAs) and migratory corridors for mobile species, as sources of information to assist with the CBD’s work to identify Ecologically or Biologically Important Areas (EBSAs) throughout the world ocean. EBSA information will help achieve marine conservation goals through promoting the creation of marine protected areas and spatially managed areas, which in turn will go toward the 2020 target of 10% of the world ocean being conserved using area-based management tools. Attending the conference were State party officials from over 50 of the world’s countries which have signed on to the convention. Besides GOBI, NGOs such as World Wildlife Fund and the International Indigenous Forum on Biodiversity attended the meeting, as well as intergovernmental agencies including the Global Environment Facility (GEF) and United Nations Environment Programme (UN Environment). 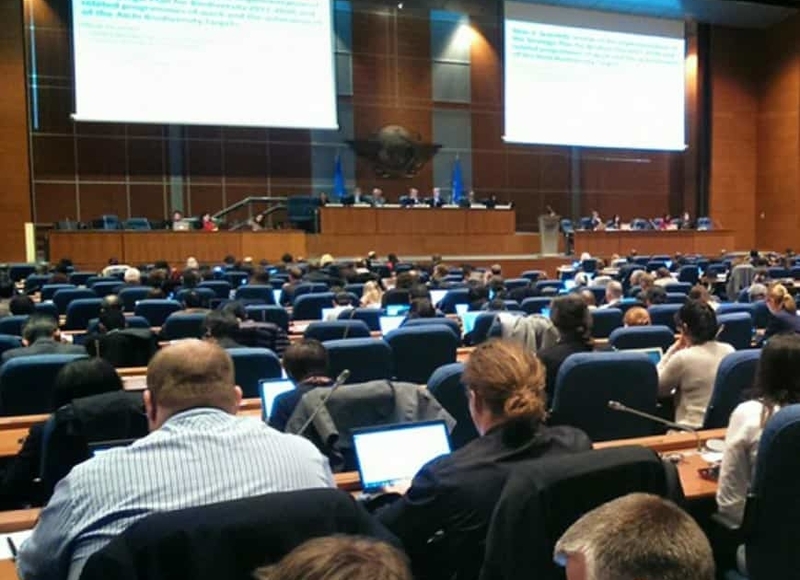 Many issues were discussed in the main sessions and side events including protected areas and other effective area-based conservation measures, marine and coastal biodiversity, and the updated scientific assessment of progress towards selected Aichi Biodiversity Targets and options to accelerate progress for the year 2020 and beyond. Building alliances in the side of SBSTTA. 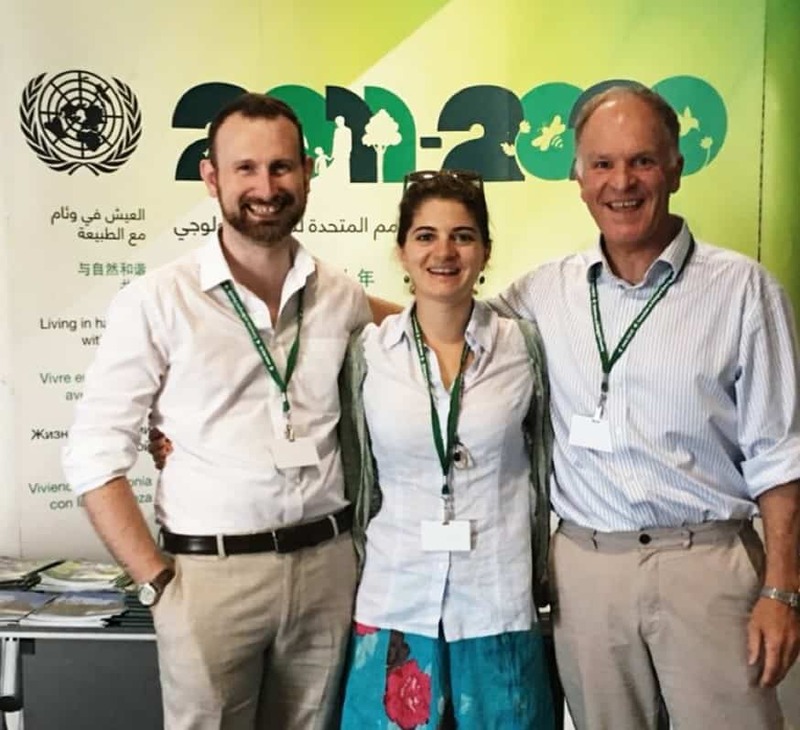 Left to right: Mike Tetley (IUCN MMPA Task Force), Bianca Notarbartolo di Sciara (UN Environment), David Johnson (Global Ocean Biodiversity Initiative).